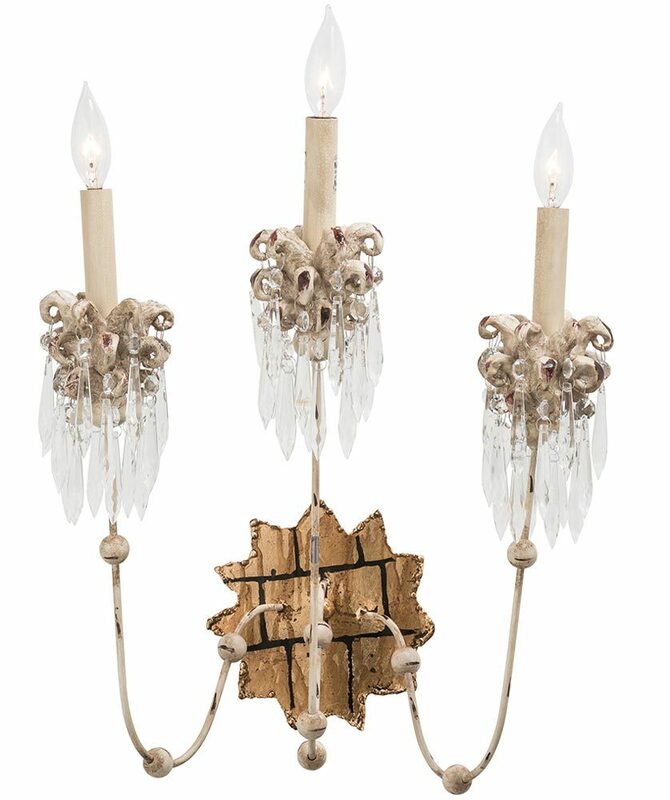 The Flambeau Venetian 3 lamp large wall light in beige patina and gold with crystal drops features elegant New Orleans style and flamboyant design. Gold leaf shaped wall mount, with three curving arms decorated with spheres in a beige patina. 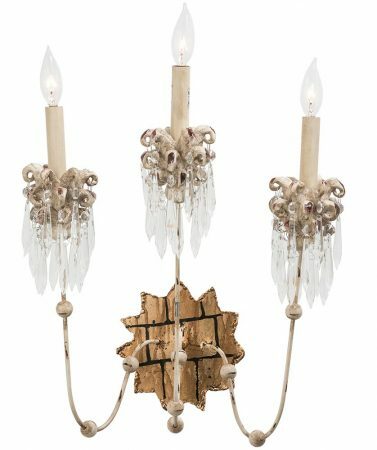 The magnificent curled leaf sculpture bobeches are covered with faceted hanging crystal drops that sparkle and topped with tall candle tubes and bare lamp bulbs. This New Orleans style three light large wall light looks fantastic on a reception room, dining room, bedroom or hallway wall and is sure to be a conversation starter wherever it’s fitted. The classy design works for so many interior styles and makes any room as individual as you are. Supplied by Elstead Lighting and designed by Flambeau in New Orleans who offer unique and distinctive lighting collections. Working with specialist designers who model up their own original creations using distressed finishes of gold and silver leaf to create 21st century antiques like the Venetian 3 lamp large wall light in beige patina and gold with crystal drops you see here.